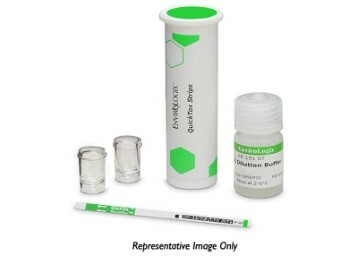 Click on the “testing kits” tab above for the complete details on how to use the various DON mycotoxin testing kits. Vomitoxin, also known as Deoxynivalenol or DON, is one of the most common mycotoxins, and it can contaminate a wide variety of grains including corn, wheat, oats, barley, and rice. Early detection through vomitoxin testing is crucial because vomitoxin contamination often indicates the presence of other harmful mycotoxins such as —aflatoxin, fumonisin, ochratoxin, T-2/HT-2 or zearalenone (F-2). Mycotoxins present significant risks to the human food supply, as well as to animal feed and pet food. Vomitoxin is stable at high temperatures, which means that basic food processing is not enough to eliminate it from foods such as flour, bread, noodles, cereal, and even popcorn and beer. This heat-resistant characteristic of vomitoxin requires farmers, grain mills, grain handlers and suppliers to stay abreast of the latest testing methods and use mycotoxin due diligence. DON is also referred to as vomitoxin because it causes nausea and vomiting as well as diarrhea, abdominal cramps, headaches, and even fever after ingestion. In higher levels and more advanced stages of contamination, the symptoms linked to vomitoxin are much more severe and include neural problems, immune system deficiencies, hemorrhaging and necrosis of the digestive system, lack of blood production in the spleen and bone marrow, and possible birth defects. As a result of these symptoms, vomitoxin has a particularly negative impact on the production animal market, making DON testing an important defense against profit loss. Vomitoxin affects animal weight gain, reducing productivity and quality. Feed suppliers and farmers can minimize the presence of vomitoxin by following good management practices as guided by the United States Department of Agriculture (USDA). 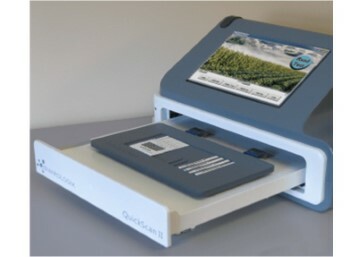 The Food and Drug Administration (FDA) tests products such as cereals and has issued advisory levels for the monitoring of food and feed contamination with DON. Vomitoxin contamination harms farms, feed, and grain mills by reducing productivity, compromising quality, and creating food safety risks. Vomitoxin testing is important in the field because Fusarium flourishes in soil. 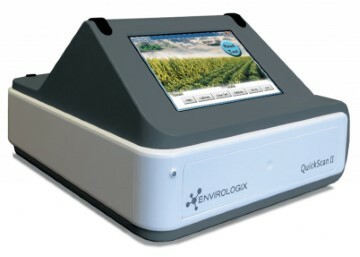 If it is not detected in the field, the contamination will prevail in storage and withstand basic food processing. Fusarium infections look different depending on the plant it infects. For barley, Fusarium appears as a brown discoloration at the base of the glumes. On wheat, it appears as a pink or reddish mold on the glumes and kernels. On corn, a pink or reddish mold appears on the tip of the ears. Regulatory food safety compliance requires vomitoxin analysis. Advisory levels for DON in the United States are set at 1 ppm for finished wheat products for human consumption. For animal feed the level is set at less than 5 ppm. Canada has even stricter tolerance levels. Recalls have been made of contaminated animal feed that resulted in business losses of over $20 million. The consequences of vomitoxin contamination can be dangerous for human and animal health. 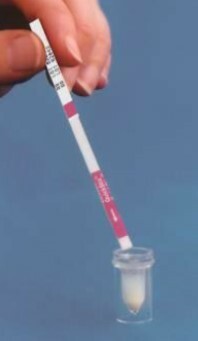 Knowing how to test for DON quickly with reliable accuracy can help detect contamination in early stages. DON testing provides an important preventative tool for keeping production animals healthy and productive.